Gary Barber’s War of Will leads a cast of 11 three-year-olds in the lucrative $1 million Louisiana Derby (G2) at Fair Grounds on Saturday. 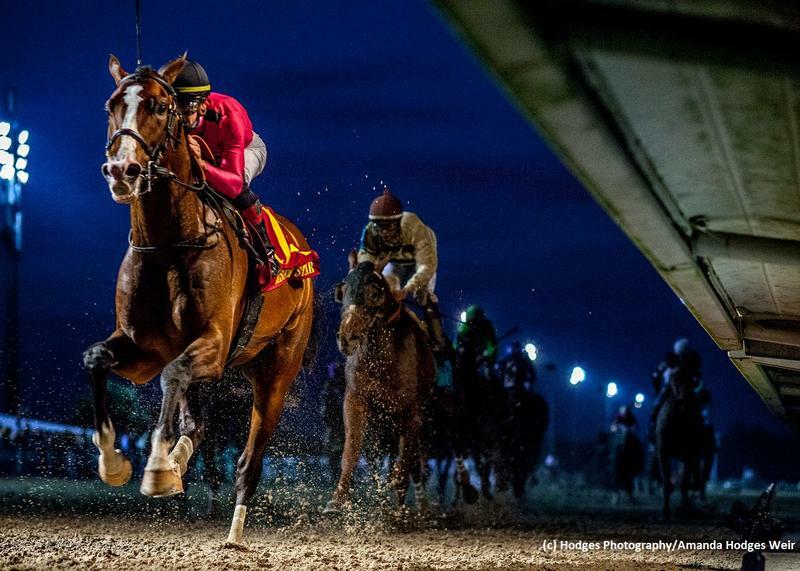 The Road to the Kentucky Derby event offers points on a 100-40-20-10. The bay son of War Front flashed a lot of ability as a juvenile, running second in the Summer Stakes (G1) and finishing a creditable fifth in the Breeders’ Cup Juvenile Turf (G1), but he really took the next step when switched to the dirt. War of Will broke his maiden with ease in his two-year-old finale and he comes into Saturday off of facile tallies in the Lecomte Stakes (G3) and Risen Star Stakes (G2) on this surface. The Mark Casse trainee will once again have Tyler Gaffalione in the controls. Spinoff is an interesting new shooter for trainer Todd Pletcher. The chestnut son of Hard Spun was third in the Saratoga Special Stakes (G2) in the summer and looked the part in posting an 11-length allowance romp at Tampa Bay Downs in his seasonal debut. John Velazquez has the assignment atop the well-bred colt. Risen Star (G2) runner-up Country House has worked swiftly following his stakes run here last time. The Lookin at Lucky colt has been first or second in each of his three dirt runs to date and gets more distance to work with for Bill Mott. Luis Saez has riding duties atop the improving three-year-old prospect. Sueno has been second best in both the Sham Stakes (G3) and Southwest Stakes (G3) for conditioner Keith Desormeaux. The improving son of Atreides retains the services of Corey Lanerie, and he makes sense with a forward move in his first local appearance. Steve Asmussen will send an interesting duo postward. Kentucky Jockey Club Stakes (G2) third Limonite was a belated fifth in the Risen Star off the layoff and figures to improve having a race under his belt. The Lemon Drop Kid colt will be coming from off the pace beneath new pilot Jose Ortiz. Also from the barn is stakes winner Bankit. The New York-bred has flashed fine ability on occasion, but he left something to be desired when finishing sixth in the Smarty Jones Stakes and fifth in the Southwest of late. Irad Ortiz Jr., who booted the son of Central Banker home in his stakes triumph as a juvenile, gets the call. Risen Star third Roiland, local maiden romper By My Standards, Lecomte runner-up Hog Creek Hustle, Breeders’ Cup Juvenile (G1) fourth Mr. Money and Gulfstream Park maiden victor Lemniscate are also in with a shot.